My husband is a sports nerd. Really, I can’t take much more. 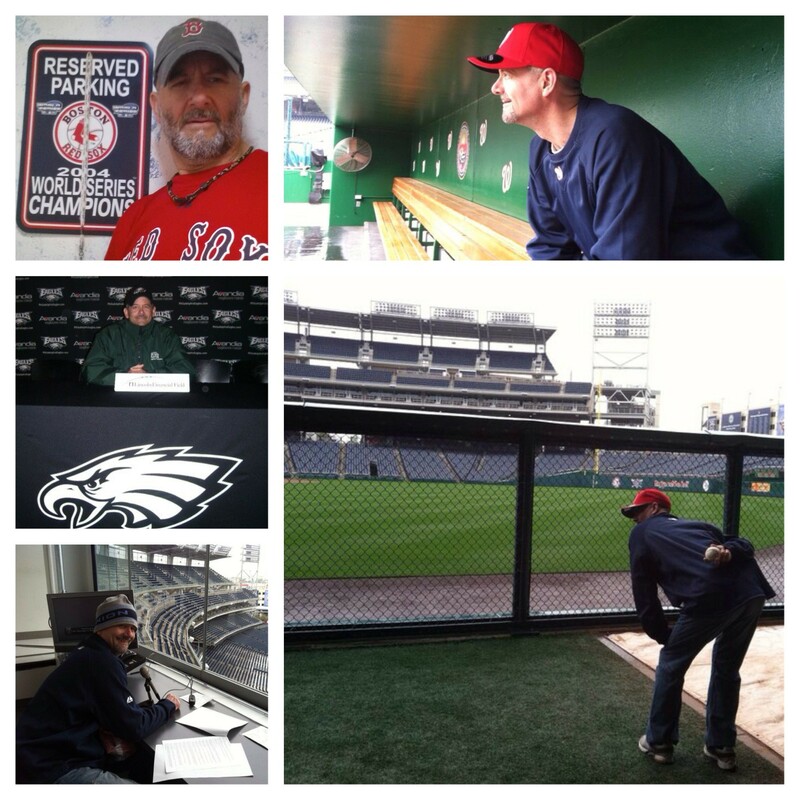 Yesterday was Opening Day for the Orioles and they were playing my husband, Jeff’s, favorite team—the Red Sox. So naturally Jeff was in Baltimore stalking players. He was with my first-born child, Jessie, of whom he’s brainwashed into being a Red Sox fan and this is bad because Jessie is twitter-savvy. 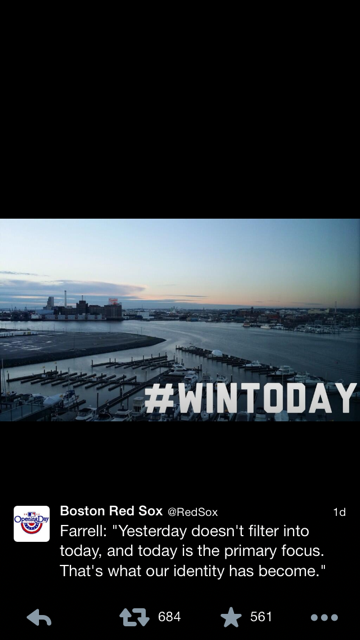 The Red Sox made the mistake of posting a picture; Jessie recognized the Baltimore hotel in the picture; and immediately my email began sputtering out picture after picture of Red Sox sightings. Jeff and I have been married for 32 years so you’d think I’d be use to the Opening Day scramble by now, but I’m not. He took a day off work to drive to Baltimore. You have to understand my irritation. This is a man who wouldn’t take a day off work for our honeymoon, to move his children to college or to drop me off at the hospital to have surgery. He’s a typical fan with a whole set of sports-induced priorities. Despite the hard feelings, I’m still smiling. He’s with my daughter and what a great relationship they have—scurrying around Baltimore in their running attire, laughing and talking about the big game. I, too, was lucky enough to have had a great relationship with my dad as did Jeff with his dad. So I’m happy that family trait lives on. My son, Zak, gave an eye-opening speech at his Grandpa Zahner’s wake three years ago. It truly was an aha moment for me. He said through the Red Sox his grandfather had created a way to keep his family together. It was an unbreakable bond. I never realized it until then, but he was right. No matter where life takes them, all three of my children call their Dad after a game. It is a wonderful connection. As for me? Don’t worry, girls. I’m fine. I am happily covering the home front, but it’s costly. 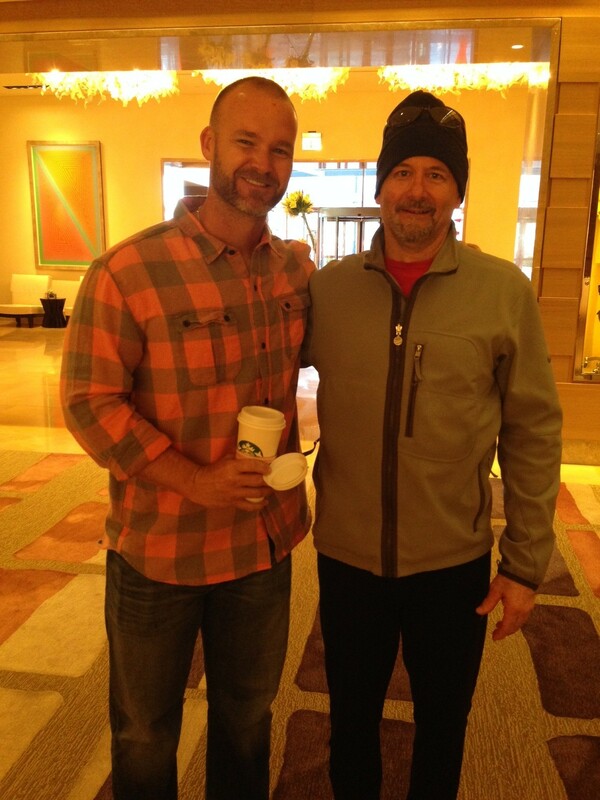 Take a good look at that picture of my husband with Red Sox catcher David Ross. (Is that a dunce cap Jeff has on?) That picture cost him a little more than a trip to Baltimore. Make that $888! I had to buy the wife a stylish running hoody to match the one Jessie bought, it’s only appropriate ……. thank you for your time for this wonderful read!! I definitely liked every part of it and I have you saved to fav to look at new information on your blog.